Simple & Sincere: Bright and Oh, So Happy! Today's card is another one from this month's stamp-a-stack. I was inspired by a card I saw on Stampin' Connection, an on-line resource for SU! demonstrators. The original card was designed by Sandra Dailey. 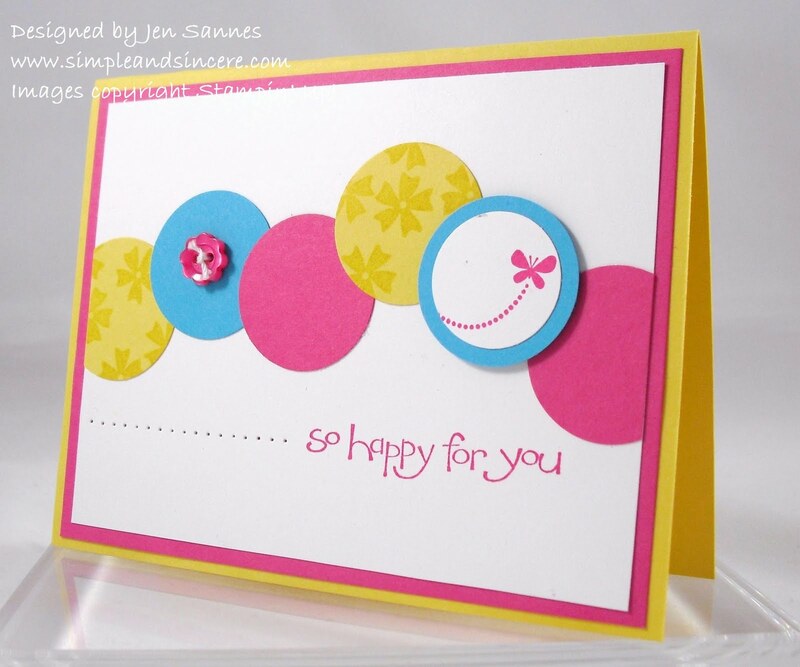 I love the bright, happy colors in this card - just in time for spring! This card uses the Sale-a-Bration set So Happy for You. You can still get yours for free when you place a $50 order. Don't wait too long, though - Sale-a-Bration ends on March 31st! You can order on-line, anytime by visiting my demo web site. Thanks for stopping by today - have a fantastic weekend! Super cute and bright card!! Love this card!! The circles are great! !